Circle of Life - Malaysia Beauty and Lifestyle Blog: Giveaway: One Fighting Championship: Return of Warriors tickets up for grabs! 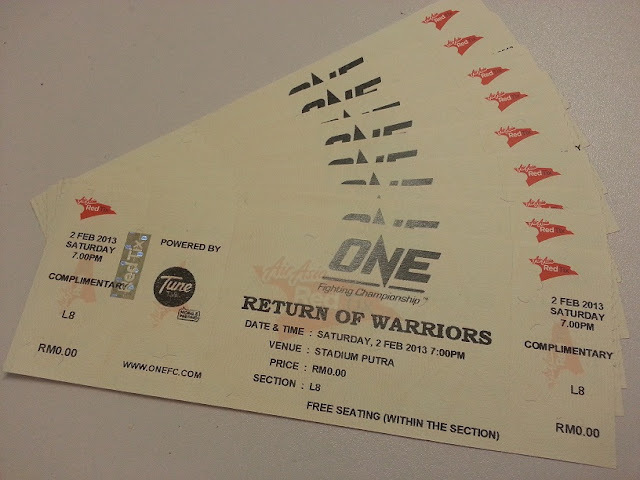 Giveaway: One Fighting Championship: Return of Warriors tickets up for grabs! I have 5 pairs of Silver tickets worth RM95 each to One Fighting Championship: Return of Warriors tickets to giveaway! Still don't know what One FC is all about? check it all out here! Leave a comment in my comment box with your follower ID (e.g. 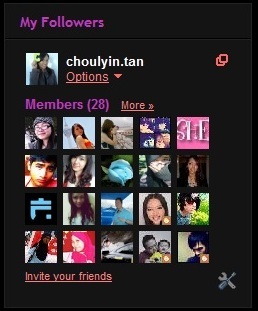 my follower ID is choulyin.tan) and email (so I can contact you if you win), and tell me why you want to go catch One FC this Saturday! I will pick the winners based on the best comment given, and they will be rewarded with TWO One FC Silver tickets worth RM190! Winners will be announced this Friday, so as long as I have not announced the winners, you still have a chance! All the best and may the best comment win!